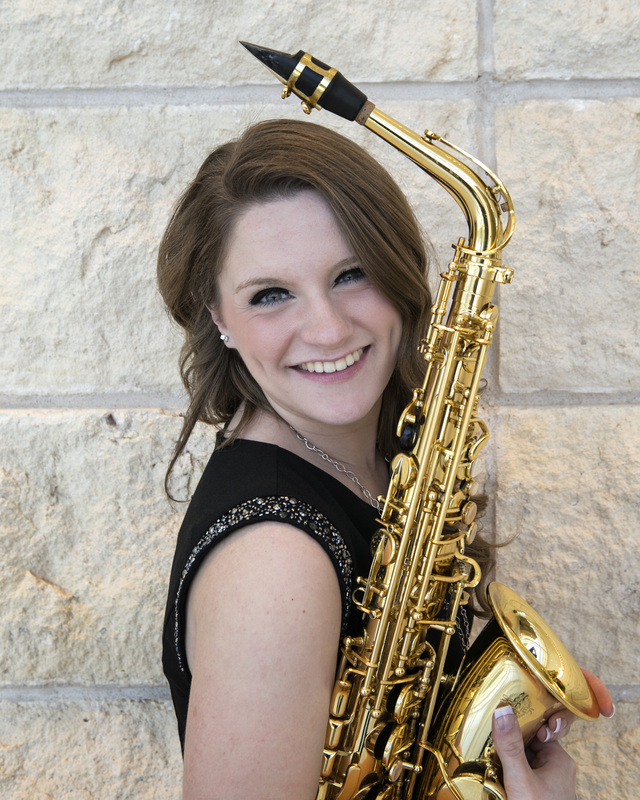 What Music Means to Me Museum Exhibit Opens December 12, 2014! Please join us in celebrating the opening of our newest exhibition! 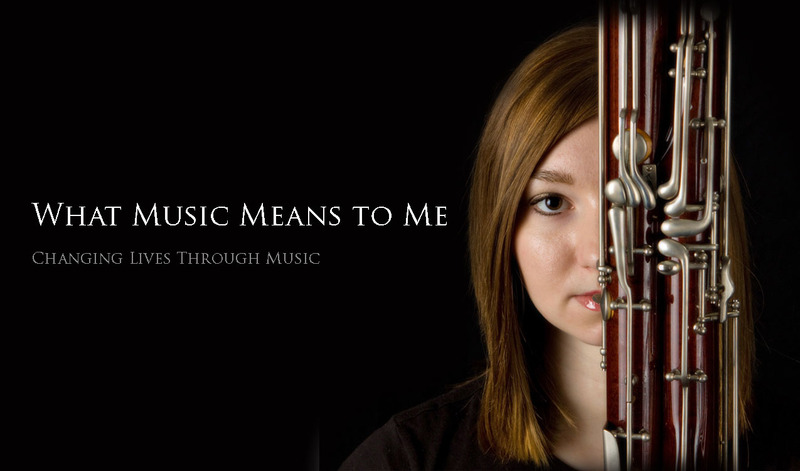 The What Music Means to Me Project was begun by Richard Rejino to raise public awareness of the benefits of music in education and in the quality of our lives. One element of Rejino’s project is his book, What Music Means to Me (published by Hal Leonard, 2010). In it he combines his original photographs with personal testimonials to document the profound impact that music-making has had on individuals from diverse backgrounds at various stages in their lives. Rejino’s vision and work got our attention and became the inspiration for this unique exhibition that will be on display from December 12, 2014 through August 2015. VIEW THE EXHIBITION Inspired by author, photographer and musician Richard Rejino, this unique exhibition combines Rejino’s photographs with personal testimonials documenting the profound impact music-making has had on individuals at various stages in their lives. ADD YOUR VOICE Reflect on what music means to you, and be among the first to leave your own testimonial in the exhibition space. 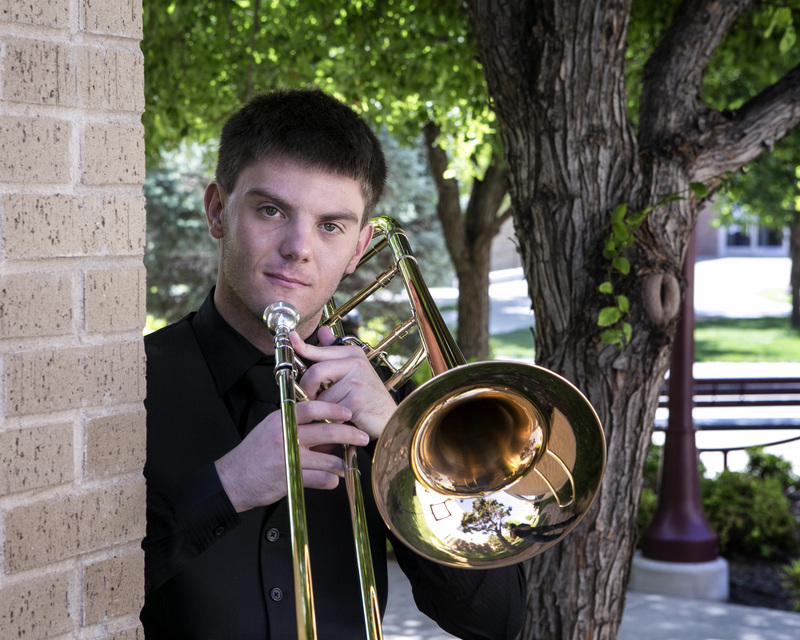 LEARN ABOUT THE PROJECT Rejino will talk about his work to raise public awareness of the benefits of music in education and in our lives. He will be joined by special guests who have participated in his initiative. 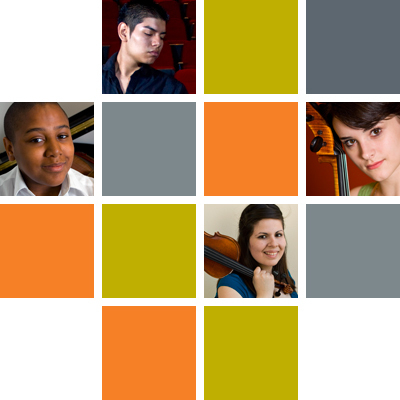 ENJOY A PERFORMANCE Lewis Warren Jr, an accomplished and inspired young pianist, will perform. His gift has brought many opportunities, including an appearance on NBC’s America’s Got Talent, as well as participation in Rejino’s project. To purchase tickets for the opening night event on December 12, 2014, click here. 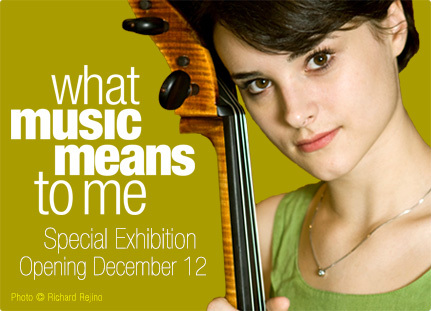 The “What Music Means to Me” exhibit will run from December 2014 to August 2015.